“We were looking for some statement pieces to use in our home, as we’d just undertaken a huge re-refurbishment. We’d waited many years for the moment when we could finally buy some beautiful furniture! We luckily came across Go Modern and were immediately struck by the stunning designs and large range of choice – many unique pieces caught our attention. We knew from the outset that we were going to use large format tiles as the canvas for the room, and we needed furniture that was going to work with that style and our kitchen. 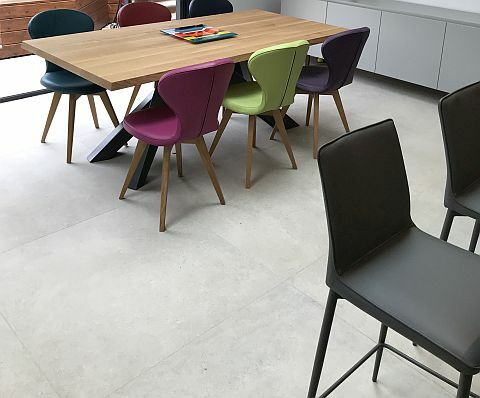 We chose some beautiful, large limestone effect porcelain tiles, Orion, from The Little Tile Company which look fabulous and were used throughout the whole area. Our first search was for a dining table, and we absolutely loved Go Modern’s Bonaldo Big Table. Not only is it topped by a gorgeous, heavy piece of oak, but the legs and overall design are beautiful – it’s the real talking point of the whole dining area. Then there was the sideboard. When we saw the Jesse Plateau sideboard we knew it would work perfectly. It’s a large piece but has a great sleek look, and the internal red detailing is something you just don’t find ordinarily. 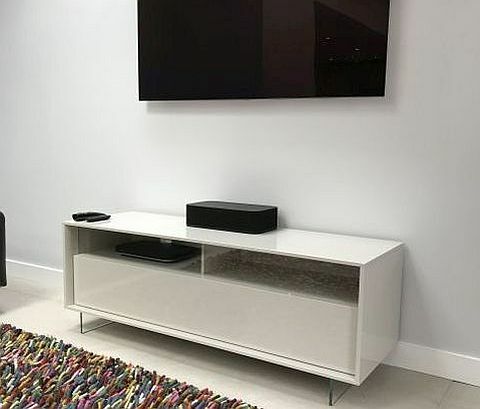 We also wanted to have a TV in the room, but not all the horrible hardware that goes with it, and we spotted the Avante TV unit. Perfect. 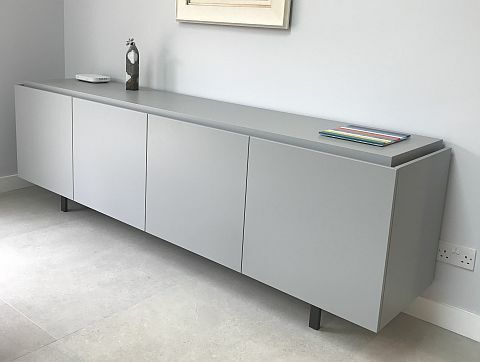 Stylish, sleek but practical too – it neatly hides all the cables, has small glass legs, a push-open door and high gloss finish. 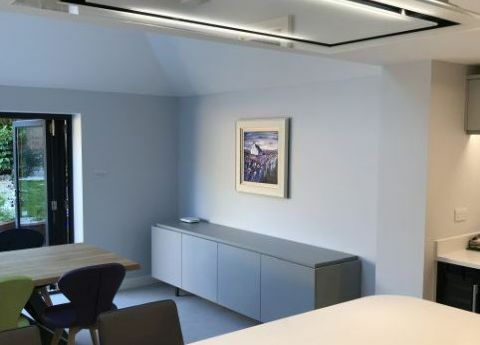 It really becomes a part of the design, whereas most cabinets of this type are normally just practical and that wasn’t enough for us. We finished with some great bar stools, the Bontempi Nata. 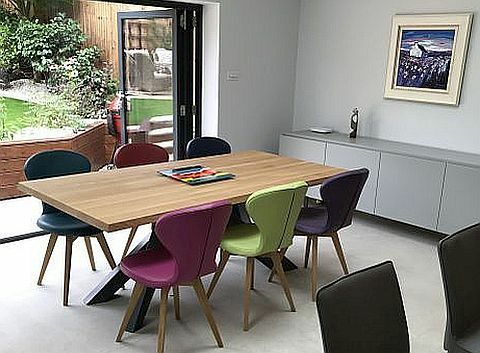 We wanted stools that were stylish, luxurious and yet comfortable, that our family could sit around on for hours and these fitted the design perfectly, especially with the high backs. How fantastic. Thank you. We are really chuffed to get such great feedback and, although we love what we do, it made our day to get such praise. And if anyone else would like to share their happy purchases we’d love to show them off for you. Hop over to the Go Modern site now (and we’ve also got a Summer Sale!). Previous PostPrevious A Gold Award winning, record breaking summer!